Sound & Cognition is an interactive site created for undergraduate design majors focusing on the Sequence of Cognition. A brand identity is recognized by color, shape and language. How would this change if sound became the proponent for recognition? Would this change the Sequence of Cognition and the perceptions of an audience? 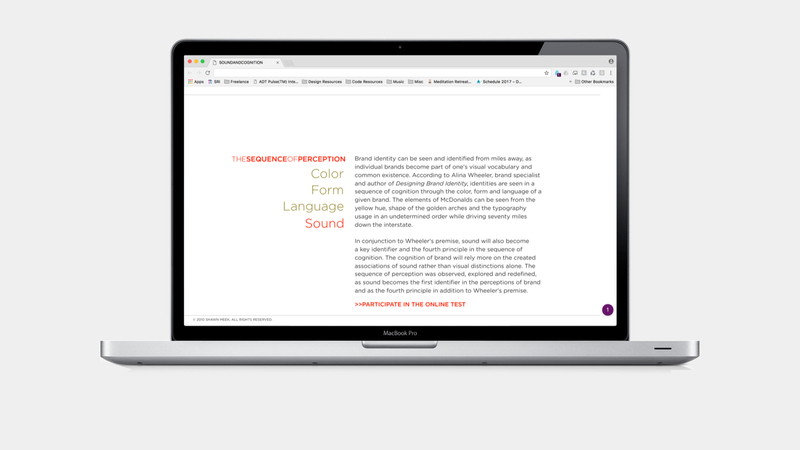 Users are greeted with a general summary of author Alina Wheeler’s premise of how visual perception is formed. 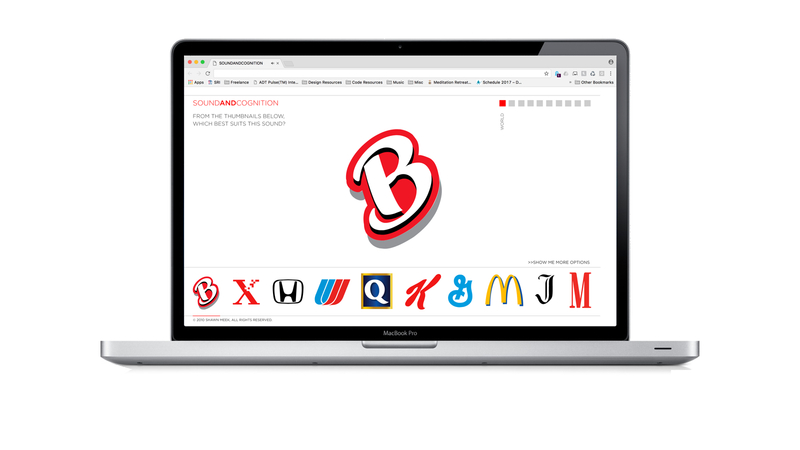 As humans, we respond to color, form and language when logos are seen. Just ask my two-year old niece, who could spot ‘McDonalds’ just by pinpointing color (first) and form (second). As users dive into the online test, different types of music samples are played. 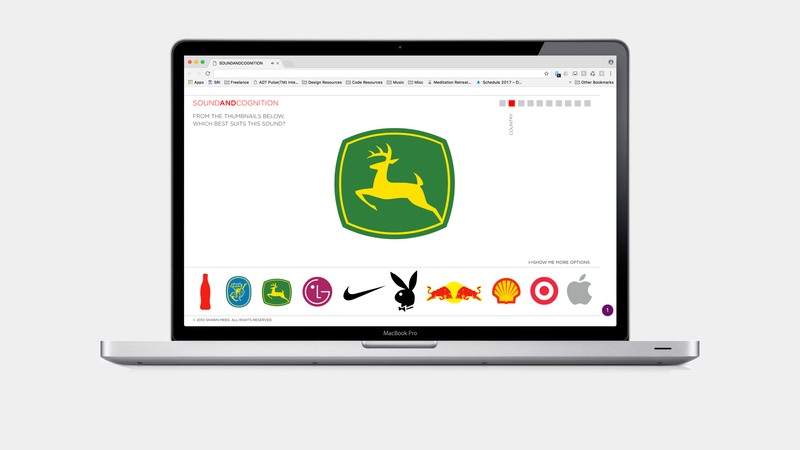 Users then match different identity fragments from large brands to sound samples. These samples range from Pop, Hip Hop, Country and Metal. Data is recorded as users make their selections, thus providing evidence leading to discussion as to what brands and sound selections were created. What does Apple sound like? Nike? Honda? Kellogg’s?